Giants rookie Odell Beckham continues to battle a hamstring injury that will keep him out another week. Hamstring injuries tend to linger so its something to keep an eye on. ODB’s rookie draft stock could start moving downward. Packers tight end Colt Lyerla has been relegated to the scout team in Green Bay. It doesn’t bode well for his prospects to break through the Packers tight end competition and his dynasty prospects look bleak. Don’t get too excited Chris Johnson-owners: Jets running back Chris Ivory is still expected to handle goal-line carries. It was to be expected and solidifies Johnson’s value as no higher than a RB2 in PPR leagues. 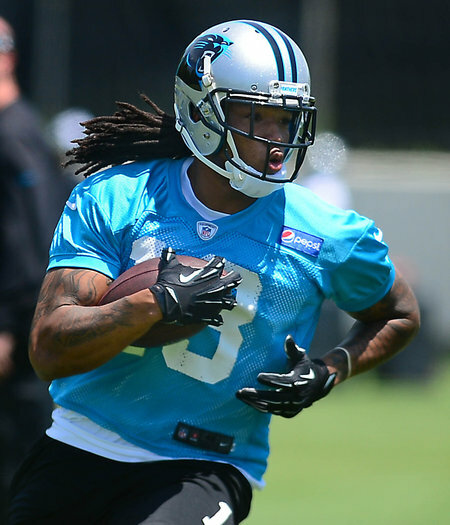 Breathe easy Panther fans: rookie receiver Kelvin Benjamin just has a bone bruise. Get ready for the Carlos Hyde-hype machine to kick in to overdrive as Kendall Hunter is now out for the year with LaMichael James out a month. All of this could lead to Hyde being the first running back off the board in rookie drafts. In a positive sign, rookie quarterback Teddy Bridgewater will split first team snaps with Matt Cassel. The arrow is pointing up on Bridgewater to start the season and provide the most impact from this years rookie quarterback class. All signs point to Bengals running back Jeremy Hill being the primary back up to Gio Bernard in Cincinnati. Hill is bigger and faster (and cheaper) and should get some decent playing time right off the bat in Hue Jackson’s run-based offense. Be sure to check out our rookie dynasty mock draft here. Jets running back Chris Ivory sat out with a slight hamstring injury today. Hopefully it won’t be as severe as previous hamstring injuries Ivory has had. 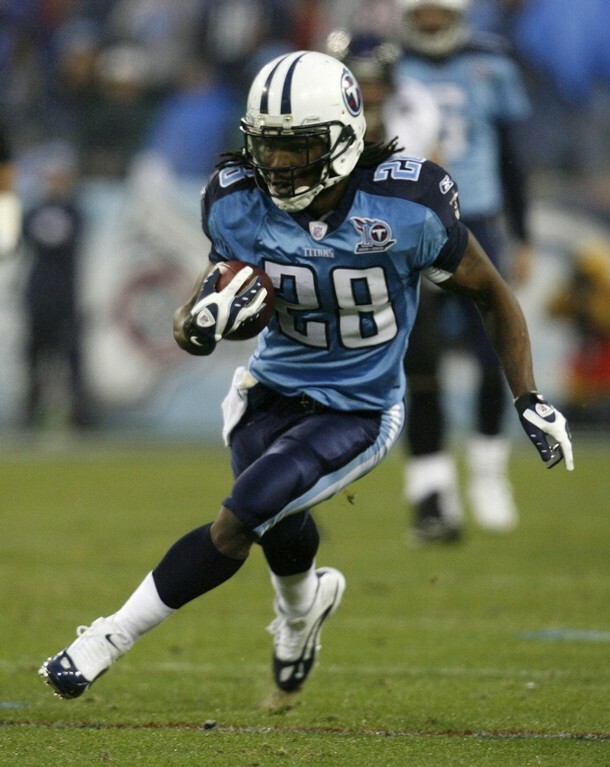 Either way, we still like Chris Johnson as the dynasty running back to own in dynasty leagues. Browns rookie running back Terrance West is back in action after spending a day on the NFI list. He’s looking more and more like the running back to own in dynasty circles. Panthers running back Jonathan Stewart injured his hamstring (surprise!) and will be out a couple of weeks. So it goes. Giants tight end Adrien Robinson was listed as the fifth tight end on the depth chart to start camp. I didn’t know teams had five tight ends in camp. Either way, Robinson is not a dynasty asset. 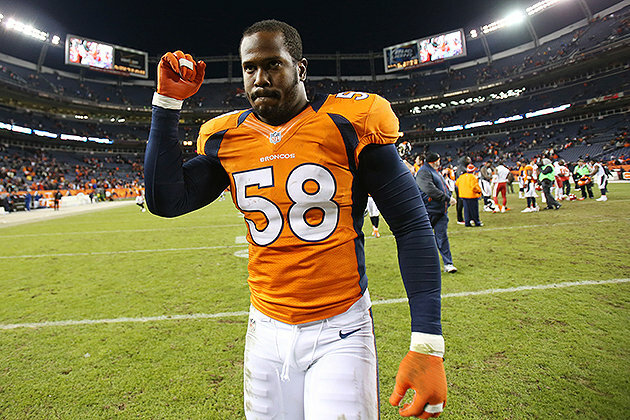 Broncos linebacker Von Miller won’t see game action until well in to pre-season after tearing his ACL last year. However, he should be ready for the season and could be a good LB2 for IDP leagues. Those holding out hope for David Wilson’s return can feel a little better now that he opened camp on the second string. Wilson’s long-term outlook will look better and better the longer he can stay healthy. Rams receiver Tavon Austin didn’t understand the playbook last year which led to his failed rookie season. Personally, we’re not high on Austin due to his (very) small size and situation. Get ready for a big workload for Eddie Lacy as the Packers don’t plan on slowing him down. Lacy is a sure-fire top five dynasty back and should be good for many years to come. Interesting development in Giants camp as rookie running back Andre Williams is getting goal-line work with the first team. Williams could be a decent sleeper in rookie dynasty drafts. 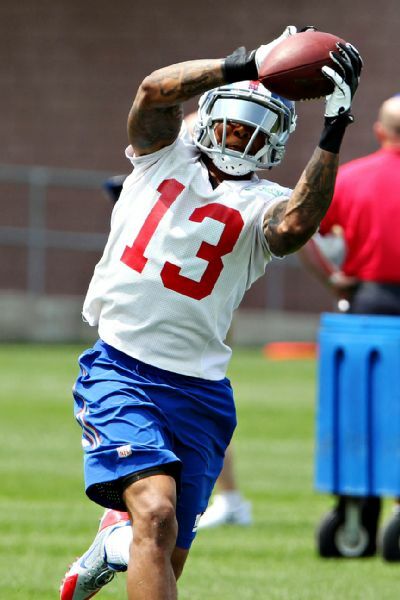 In other Giants news, Odell Beckham has been battling a hamstring injury in camp. It’s worth noting as hamstring injuries can take a while to get over. 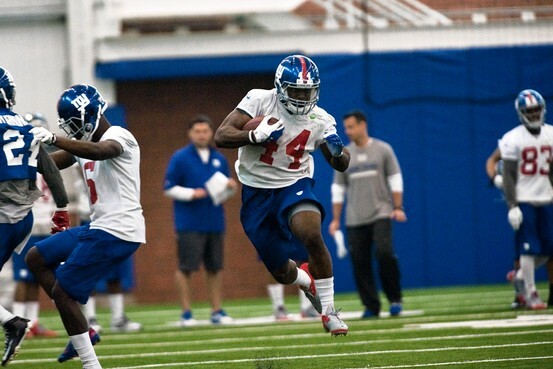 ODB is expected to start the season behind Victor Cruz and Rueben Randle. Expect rookie defensive lineman Demarcus Lawrence to start outside for the Cowboys, giving him a chance to be the top rookie DL in rookie drafts. The Cowboy defense should be on the field a lot this year. For updated dynasty wide receiver rankings, click here. The top five remains the same, albeit in a different order. 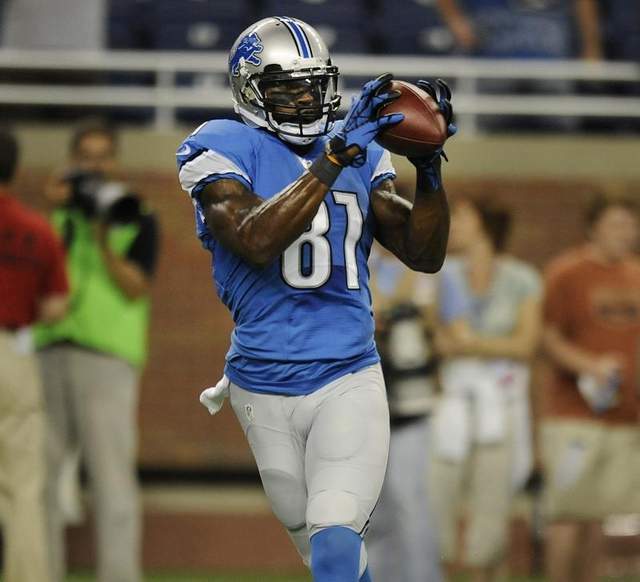 Calvin Johnson stays at 1 with Dez Bryant at 2; A.J. Green at 3; Demaryius Thomas at 4; and Julio Jones at 5. The rookies stay steady with Sammy Watkins up to 7 and Mike Evans holding at 11. Others include Jordan Matthews at 25 and Brandin Cooks at 26; and Odell Beckham at 31. The biggest drop includes Josh Gordon, who continues to drop, to 17 from 13.